How can I describe this recipe – rich, smooth, chocolaty, exquisite, yummy, absolutely delicious and even so none of those get even close to how good this chocolate is. It’s one those things that unfortunately we can’t make very often as it’s very fattening but believe me it worth every mouthful. The good thing is that you know exactly what you are eating. This chocolate melts in our mouth and leaves a sweet bitter taste that is sheer heaven! I decided to sprinkle my bars with hazelnuts but you can sprinkle yours with anything you like, coconut, almonds, sunflower seeds, really the sky is the limit! Melt the coconut oil in bain marrie or in the microwave. If you do it in the microwave it will probably take one minute to melt but instead of 1 minute put two times 30 seconds. Stir in the sugar and cocoa until its smooth. Lay in a sheet of baking sheet in two loaf tins and pour in half of the liquid chocolate in each tin. 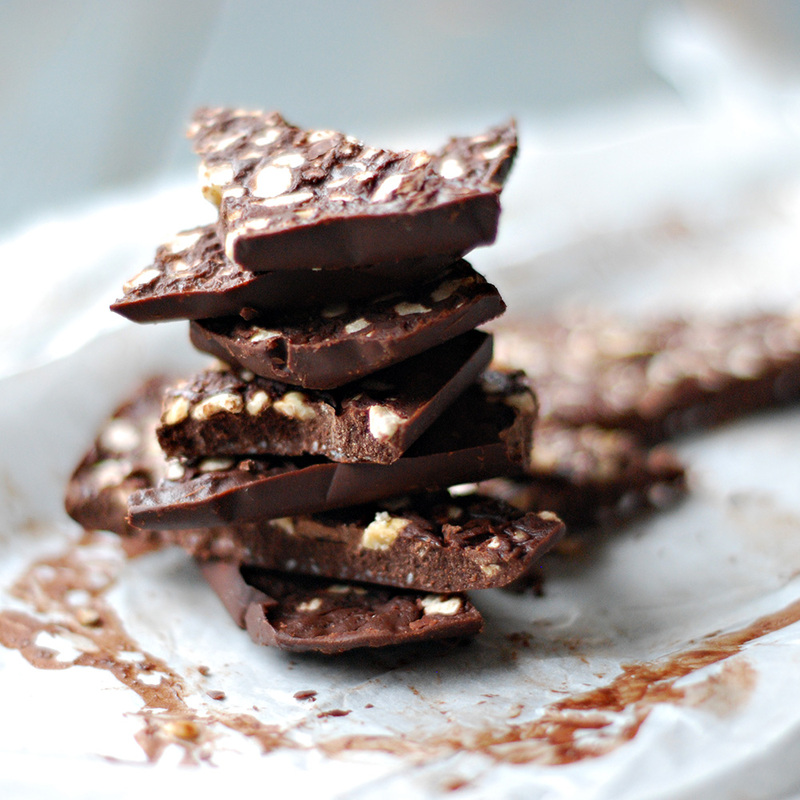 Sprinkle the chopped hazelnuts on top of the chocolate and take it to the fridge for 30 minute. Remove the chocolate from the tin and done. Keep the chocolate wrapped in the fridge to prevent it from melting. You can make two to three bars with this recipe. Enjoy!